Crohn’s. Lupus. Autism. ADHD. Food allergies. Celiac disease. Sjögren’s syndrome. Polymyalgia rheumatica. Multiple sclerosis. Anklyosing spondylitis. Type 1 diabetes. Vasculitis. Peripheral neuropathy. The list goes on, and on, and on. We are being increasingly diagnosed with these conditions and diseases of unknown origin, and science has very little to say – why would autoimmune diseases and mysterious diseases of inflammation be so prevalent? When did this increase start? As an observer and participant in modern biomedical research, and a lover of deep history, I tend to focus not on the immediate or last few years, but look for trends of accumulating risk over longer periods of time. Seeking an answer to the question of “when”, I used Pubmed to estimate, per yer, the number of studies and papers discussing diseases and conditions of unknown origin. 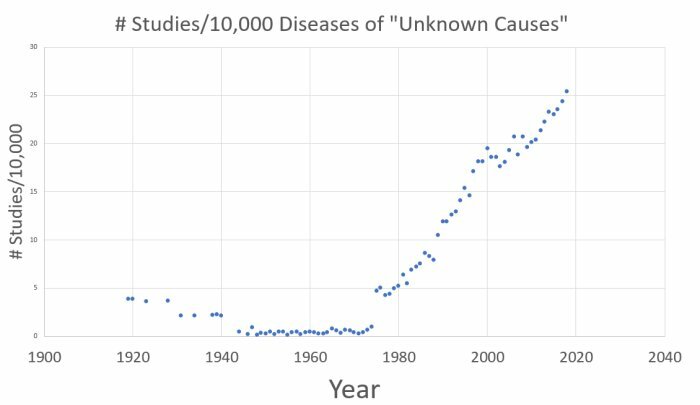 I search for the term “unknown causes”, and also for the term “journal” to get some idea of the percentage of studies, papers and editorials discussing disease of unknown causes. I had no idea what to expect. Again, this merely reflects the trend in the increase in publications in Pubmed, and so using it would provide a relative control for that trend. Next I searched for “Unknown Causes”, and calculated the number of articles citing unknown causes per 10,000 articles (again, relative denominator term). What I found is shocking. 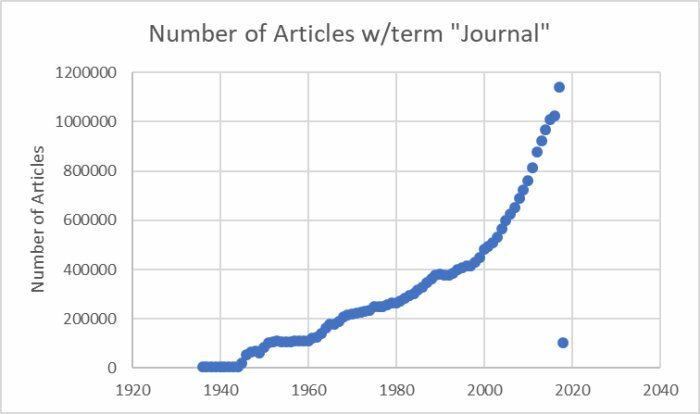 Here is a graph of the number of articles per 10,000 discussing “unknown causes” (Y = #articles mentioning “unknown causes” / #articles mentioning “journal”, as in the title of journals). Because the studies in Pubmed include all sorts of journals studying all sorts of things, the actual number is not as important as the trend. The signature is undeniable. Something changed dramatically in 1976. To the skeptic: the increase is greater if one does not correct for total publications. What changed was national mass vaccination against influenza. A meeting of representatives of the military, the National Institute of Health, the Food and Drug Administration (FDA), and the State of New Jersey Department of Health was quickly convened on Saturday, February 14, 1976. Plans of action included heightened surveillance in and around Fort Dix, investigation of the ill recruits to determine if contact with pigs had occurred, and serologic testing of recruits to determine if spread had occurred at Fort Dix. Surveillance activities at Fort Dix gave no indication that recruits had contact with pigs. Surveillance in the surrounding communities found influenza caused by the current strain of influenza, A/Victoria, but no additional cases of swine flu. Serologic testing at Fort Dix indicated that person-to-person transmission had occurred in >200 recruits (4). In 1974 and 1975, 2 instances of humans infected with swine influenza viruses had been documented in the United States. Both persons involved had close contact with pigs, and no evidence for spread of the virus beyond family members with pig contact could be found (5). On March 10, 1976, the Advisory Committee on Immunization Practices of the United States Public Health Service (ACIP) reviewed the findings. The committee concluded that with a new strain (the H1N1 New Jersey strain) that could be transmitted from person to person, a pandemic was a possibility. Specifically, the following facts were of concern: 1) persons <50 years of age had no antibodies to this new strain; 2) a current interpandemic strain (A/Victoria) of influenza was widely circulating; 3) this early detection of an outbreak caused by A/New Jersey/76/Hsw1N1 (H1N1) provided an opportunity to produce a vaccine since there was sufficient time between the initial isolates and the advent of an expected influenza season to produce vaccine. In the past when a new pandemic strain had been identified, there had not been enough time to manufacture vaccine on any large scale; 4) influenza vaccines had been used for years with demonstrated safety and efficacy when the currently circulating vaccine strain was incorporated; 5) the military vaccine formulation for years had included H1N1, an indication that production was possible, and no documented adverse effects had been described. ACIP recommended that an immunization program be launched to prevent the effects of a possible pandemic. One ACIP member summarized the consensus by stating “If we believe in prevention, we have no alternative but to offer and urge the immunization of the population.” One ACIP member expressed the view that the vaccine should be stockpiled, not given. Making this decision carried an unusual urgency. The pharmaceutical industry had just finished manufacture of the vaccine to be used in the 1976–1977 influenza season. At that time, influenza vaccine was produced in fertilized hen’s eggs from special flocks of hens. Roosters used for fertilizing the hens were still available; if they were slaughtered, as was customary, the industry could not resume production for several months. On March 13, an action memo was presented to the Secretary of the Department of Health Education and Welfare (DHEW). It outlined the problem and presented 4 alternative courses of action. First was “business as usual,” with the marketplace prevailing and the assumption that a pandemic might not occur. The second was a recommendation that the federal government embark on a major program to immunize a highly susceptible population. As a reason to adopt this plan of action, the memo stated that “the Administration can tolerate unnecessary health expenditures better than unnecessary death and illness if a pandemic should occur.” The third proposed course of action was a minimal response, in which the federal government would contract for sufficient vaccine to provide for traditional federal beneficiaries—military personnel, Native Americans, and Medicare-eligible persons. The fourth alternative was a program that would represent an exclusively federal response without involvement of the states. The proposal recommended by the director of CDC was the second course, namely, for the federal government to contract with private pharmaceutical companies to produce sufficient vaccine to permit the entire population to be immunized against H1N1. The federal government would make grants to state health departments to organize and conduct immunization programs. The federal government would provide vaccine to state health departments and private medical practices. Since influenza caused by A/Victoria was active worldwide, industry was asked to incorporate the swine flu into an A/Victoria product to be used for populations at high risk. Before the discussions with the secretary of DHEW had been completed, a member of his staff sent a memo to a health policy advisor in the White House, raising the specter of the 1918 pandemic, which had been specifically underemphasized in the CDC presentation. CDC’s presentation highlighted the pandemic potential, comparing it with the 1968–69 Hong Kong and 1957–58 Asian pandemics. President Gerald Ford’s staff recommended that the president convene a large group of well-known and respected scientists (Albert Sabin and Jonas Salk had to be included) and public representatives to hear the government’s proposal and make recommendations to the president about it. After the meeting, the president had a press conference, highlighted by the unique simultaneous appearance of Salk and Sabin. President Ford announced that he accepted the recommendations that CDC had originally made to the secretary of DHEW. The National Influenza Immunization Program (NIIP) was initiated. The proposal was presented to 4 committees of the Congress, House and Senate authorization committees and House and Senate appropriation committees. All 4 committees reported out favorable legislation, and an appropriation bill was passed and signed. The estimated budgeted cost of the program was $137 million. When Congress passed the appropriation, newspapers mischaracterized the cost as “$1.9 billion” because the $137 million was included as part of a $1.9 billion supplemental appropriation for the Department of Labor. In the minds of the public, this misconception prevailed. Immediately after the congressional hearing, a meeting of all directors of state health departments and medical societies was held at CDC. The program was presented by CDC, and attendees were asked for comments. A representative from the New Jersey state health department opposed the plan; the Wisconsin state medical society opposed any federal involvement. Otherwise, state and local health departments approved the plan. Within CDC, a unit charged with implementing the program, which reported to the director, was established. This unit, NIIP, had complete authority to draw upon any resources at CDC needed. NIIP was responsible for relations with state and local health departments (including administration of the grant program for state operations, technical advice to the procurement staff for vaccine, and warehousing and distribution of the vaccine to state health departments) and established a proactive system of surveillance for possible adverse effects of the influenza vaccines, the NIIP Surveillance Assessment Center (NIIP-SAC). (This innovative surveillance system would prove to be NIIP’s Trojan horse.) In spite of the obstacles discussed below, NIIP administered a program that immunized 45 million in 10 weeks, which resulted in doubling the level of immunization for persons deemed to be at high risk, rapidly identifying adverse effects, and developing and administering an informed consent form for use in a community-based program. The principal obstacle was the lack of vaccines. As test batches were prepared, the largest ever field trials of influenza vaccines ensued. The vaccines appeared efficacious and safe (although in the initial trials, children did not respond immunologically to a single dose of vaccine, and a second trial with a revised schedule was needed) (6). Hopes were heightened for a late summer/early fall kickoff of mass immunization operations. Soon, however, NIIP received the first of 2 crippling blows to hopes to immunize “every man, woman, and child.” The first was later in 1976, when instead of boxes of bottled vaccine, the vaccine manufacturers delivered an ultimatum—that the federal government indemnify them against claims of adverse reactions as a requirement for release of the vaccines. The government quickly capitulated to industry’s demand for indemnification. While the manufacturers’ ultimatum reflected the trend of increased litigiousness in American society, its unintended, unmistakable subliminal message blared “There’s something wrong with this vaccine.” This public misperception, warranted or not, ensured that every coincidental health event that occurred in the wake of the swine flu shot would be scrutinized and attributed to the vaccine. On August 2, 1976, deaths apparently due to an influenzalike illness were reported from Pennsylvania in older men who had attended the convention of the American Legion in Philadelphia. A combined team of CDC and state and local health workers immediately investigated. By the next day, epidemiologic evidence indicated that the disease was not influenza (no secondary cases occurred in the households of the patients). By August 4, laboratory evidence conclusively ruled out influenza. However, this series of events was interpreted by the media and others as an attempt by the government to “stimulate” NIIP. Shortly after the national campaign began, 3 elderly persons died after receiving the vaccine in the same clinic. Although investigations found no evidence that the vaccine and deaths were causally related, press frenzy was so intense it drew a televised rebuke from Walter Cronkite for sensationalizing coincidental happenings. What NIIP did not and could not survive, however, was the second blow, finding cases of Guillain-Barré syndrome (GBS) among persons receiving swine flu immunizations. As of 1976, >50 “antecedent events” had been identified in temporal relationship to GBS, events that were considered as possible factors in its cause. The list included viral infections, injections, and “being struck by lightning.” Whether or not any of the antecedents had a causal relationship to GBS was, and remains, unclear. When cases of GBS were identified among recipients of the swine flu vaccines, they were, of course, well covered by the press. Because GBS cases are always present in the population, the necessary public health questions concerning the cases among vaccine recipients were “Is the number of cases of GBS among vaccine recipients higher than would be expected? And if so, are the increased cases the result of increased surveillance or a true increase?” Leading epidemiologists debated these points, but the consensus, based on the intensified surveillance for GBS (and other conditions) in recipients of the vaccines, was that the number of cases of GBS appeared to be an excess. Had H1N1 influenza been transmitted at that time, the small apparent risk of GBS from immunization would have been eclipsed by the obvious immediate benefit of vaccine-induced protection against swine flu. 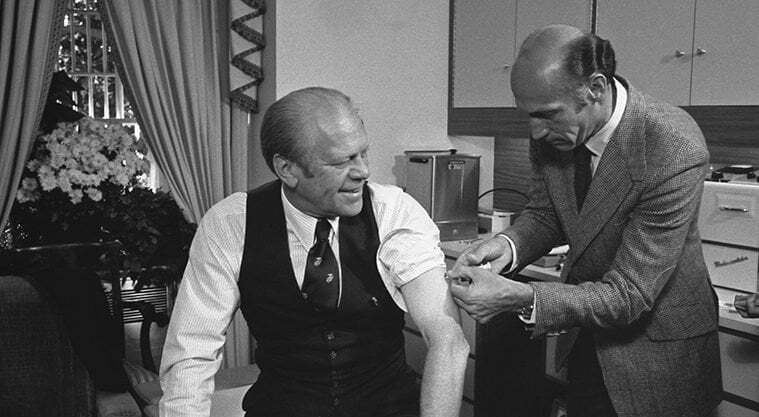 However, in December 1976, with >40 million persons immunized and no evidence of H1N1 transmission, federal health officials decided that the possibility of an association of GBS with the vaccine, however small, necessitated stopping immunization, at least until the issue could be explored. A moratorium on the use of the influenza vaccines was announced on December 16; it effectively ended NIIP of 1976. Four days later the New York Times published an op-ed article that began by asserting, “Misunderstandings and misconceptions… have marked Government … during the last eight years,” attributing NIIP and its consequences to “political expediency” and “the self interest of government health bureaucracy” (7). These simple and sinister innuendos had traction, as did 2 epithets used in the article to describe the program, “debacle” in the text and “Swine Flu Fiasco” in the title. On February 7, the new secretary of DHEW, Joseph A. Califano, announced the resumption of immunization of high-risk populations with monovalent A/Victoria vaccine that had been prepared as part of the federal contracts, and he dismissed the director of CDC. NIIP may offer lessons for today’s policymakers, who are faced with a potential pandemic of avian influenza and struggling with decisions about preventing it (Table). Two of these lessons bear further scrutiny here. While all decisions related to NIIP had been reached in public sessions (publishing of the initial virus findings in CDC’s weekly newsletter, the Morbidity and Mortality Weekly Report (MMWR); New York Times reporter Harold Schmeck’s coverage of the ACIP sessions, the president’s press conference, and 4 congressional hearings), effective communication from scientifically qualified persons was lacking, and the perception prevailed that the program was motivated by politics rather than science. In retrospect (and to some observers at the time), the president’s highly visible convened meeting and subsequent press conference, which included pictures of his being immunized, were mistakes. These instances seemed to underline the suspicion that the program was politically motivated, rather than a public health response to a possible catastrophe.Annex 11 of the draft DHEW pandemic preparedness plan states, “For policy decisions and in communication, making clear what is not known is as important as stating what is known. When assumptions are made, the basis for the assumptions and the uncertainties surrounding them should be communicated” (11). This goal is much better accomplished if the explanations are communicated by those closest to the problem, who can give authoritative scientific information. Scientific information coming from a nonscientific political figure is likely to encourage skepticism, not enthusiasm. Neither CDC nor the health agencies of the federal government had been in the habit of holding regular press conferences. CDC considered that its appropriate main line of communication was to states and local health departments, believing that they were best placed to communicate with the public. MMWR served both a professional and public audience and accounted for much of CDC’s press coverage. In 1976, no all-news stations existed, only the nightly news. The decision to stop the NIIP on December 16, 1976, was announced by a press release from the office of the assistant secretary for health. The decision to reinstitute the immunization of those at high risk was announced by a press release from the office of the secretary, DHEW. In retrospect, periodic press briefings would have served better than responding to press queries. The public must understand that decisions are based on public health, not politics. To this end, health communication should be by health personnel through a regular schedule of media briefings. This decision is worthy of serious question and debate. As Walter Dowdle (12) points out in this issue of Emerging Infectious Diseases, the prevailing wisdom was that a pandemic could be expected at any time. Public health officials were concerned that if immunization was delayed until H1N1 was documented to have spread to other groups, the disease would spread faster than any ability to mobilize preventive vaccination efforts. Three cases of swine influenza had recently occurred in persons who had contact with pigs. In 1918, after the initial outbreak of influenza at Fort Riley in April, widespread outbreaks of influenza did not occur until late summer (13). The Delphi exercise of Schoenbaum in early fall of 1976 (13) was the most serious scientific undertaking to poll scientists to decide whether or not to continue the program. 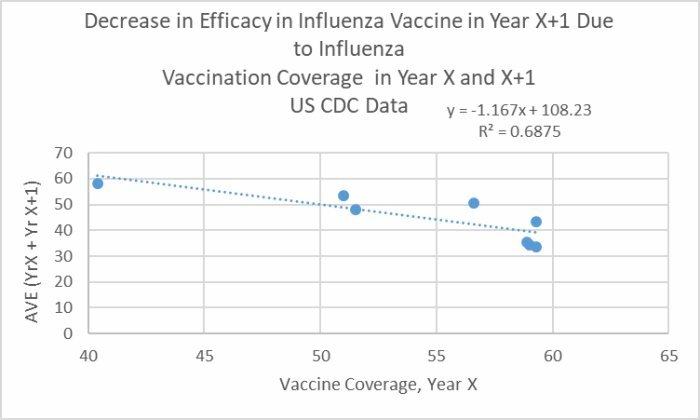 Its main finding was that the cost benefit would be best if immunization were limited to those >25 years of age (and now young children are believed to be a potent source of spread of influenza virus!). Unfortunately, no biblical Joseph was there to rise from prison and interpret the future. As Dowdle further states (12), risk assessment and risk management are separate functions. But they must come together with policymakers, who must understand both. These discussions should not take place in large groups in the president’s cabinet room but in an environment that can establish an educated understanding of the situation. Once the policy decisions are made, implementation should be left to a single designated agency. Advisory groups should be small but representative. CDC had the lead responsibility for operation of the program. Implementation by committee does not work. Within CDC, a unit was established for program execution, including surveillance, outbreak investigation, vaccine procurement and distribution, assignment of personnel to states, and awarding and monitoring grants to the states. Communications up the chain of command to the policymakers and laterally to other directly involved federal agencies were the responsibility of the CDC director, not the director of NIIP, who was responsible for communications to the states and local health departments, those ultimately implementing operations of the program. This organizational mode functioned well, a tribute to the lack of interagency jealousies. This history is fascinating. But the conclusions of those involved in the decision-making about risk is telling: even though they observed Guillain-Barré syndrome in a significant number of individuals, they forged ahead with ACIP telling them it was more important to conduct mass vaccinations. In 1986, the The National Childhood Vaccine Injury Act (NCVIA) established the National Vaccine Injury Compensation Program. Guillain-Barré Syndrome was added to the table of vaccine injuries for which compensation is awarded in 2017. It took thirty-one years to add GBS to the table, and they knew about the assocation for ten years before the 1986 act. When assessing risk, there are the knowns, the unknowns, and the unknowns one does even know to look for. The “Reflections” article, on the CDC website, shows that knowledge of risk of autoimmune disorders like Guillain-Barré Syndrome and deaths from vaccination was present from the beginning. Serious side effects in a minority of patients is rationalized by the benefits of the flu vaccine, and vaccine risk denialism perpetuates the regulation of perception necessary for continuation of the view that the benefits outweigh the risks. But, at a population level, evidence is mounting that, due to numerous reasons, mass influenza vaccination is self-defeating. These result are from CDC’s own data, and reflect population effects. They are robust to the low coverage value ‘outlier’, data provided here for the interested skeptic. seasonal-flu-vaccine-effectiveness . Repeated calls for addressing these conundrums fall on deaf ears. The explosion of diseases of mysterious origin – the cost of morbidity and mortality – means there is no excuse for sloppy, lazy vaccinology. The changes needed are known, and there is no excuse. Unsafe epitopes that match human proteins must be removed. Thimerosal must be removed. Aluminum exposure must be minimized. We desperately need a new generation of technologies for artificial immunization, and those products should (a) not be contracted via the CDC at all, (b) subjected to the same rigorous standards of evidence of safety required of drugs with long-term safety outcomes (total health outcome awareness), (c) vaccine risk denialism must be stopped immediately. At this point, in 2018, one must ask: when will protection from vaccine-induced immunological and neurological damage become a factor in the risk equations, or better yet, a priority? When will it be seen as more important than the management of the perception of risk? The number needed to treat to prevent one infection is 71, and vaccination has no net positive effect on working days or hospitalization. [“Vaccines to prevent influenza in healthy adults“]. Studies are needed to determine if “flu infection” after influenza vaccination followed by Tamiflu treatment is a recipe for mortality. [Pediatric advisory committee briefing for Tamiflu – Hoffman-La Roche, Inc. ] FDA Posts Tamiflu Warning. Bill Gates and Melinda Gates. So, Bill and Melinda Gates would strongly deny-forbid, their own school doctor of high-end (rich) neighborhood (especially California but also Washington DC, New York, Upstate etc.) to inject a-n-y-thing on their own children! Most rich people do the same, they have rights, you see, and they know not to be feared and escape ground rules for all others. They say: NO. But it’s perfectly ok for all the rest of us (mind you there is no middle class in their heads: Aristocrats of 1% ‘and the rest’). It came out by their doctor who had to address and talk about the fact with colleagues and system. It turns out, Bill Gates felt rather awfully strongly about vaccinations’ bad trial-track, bad scientific history, no evidence on safety and protection, harm and, the cause of Autism! In a tragic human irony, in some.. crazy weird world of double standard psychopathic Frankensteins logic ‘they’ve’ created for themselves, and subsequently us, it’s ok for ‘them’ not to follow and to directly forbid from use and injecting the act upon a sovereign human beings body, here especially a sovereign child’s body, but, they would lie, fake results and knowledge/distort, threaten and force the public. Just, how much Autism are we seeing today compared to let’s say 20-30 years ago? ‘Aluminum’, as a chemical example and poison, resigns in every case of Brain or Neuro Cognitive Damage, such as: Autism, Dementia/Alzheimers, Brain tumors and more… or the other cancers in other body parts. Why are they not accountable? This is illegal and criminal. Bill and Melinda Gates Foundation fund and support, and heavily (try with millions) invest on massive vaccinations. Africa was their open (free) Nazi experiment field. On www.GeoengineeringWatch.org see the 2 lectures ‘Dr. Sherri Tenpenny’ has on all vaccinations! CREATE the issues, diseases, .. to begin with. – several viruses, poisons/toxins/chemicals, antibiotics, etc. – At least 20 of each in every one.. now, imagine that! and, Happy Chronic diseases and chronic patients and, death, but first, very very slow deaths, please, slowly but surely, right? so to earn the big Pharma profits first, for years on pain, despair, fear and suffering amongst children and grown-ups (all vaccinations remember? even for adults now like the seasonal FLU vaccines! ), mothers and fathers and their loving ones in pain and trials, adults losing their loved ones, not from age anymore, but from Vaccinations or Geo-and Bioengineering, also folk known as ‘Chemtrails’ i.e. Air-born vaccines. Big money, more moore moooore money (Greed) no money is ever enough, more more, give them more! How much more? so now you want to use reason with such? Yeah, go ahead.